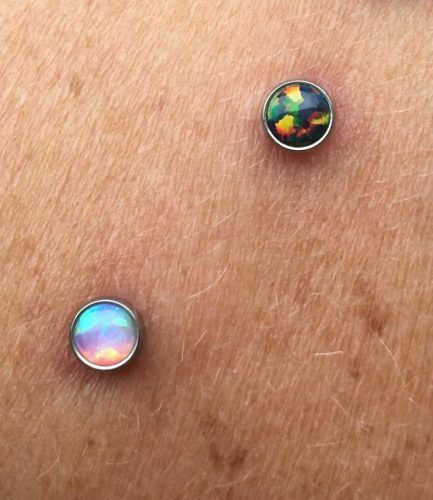 Two surface piercings on the lovely Lilo. 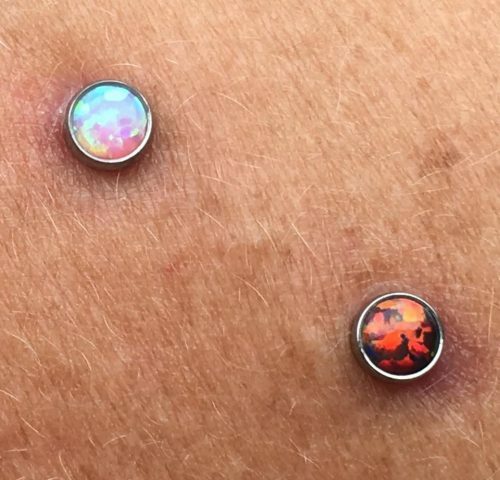 She chose 4mm Light Pink Opals, a 4mm Black Opal, and a 4mm Red Opal. At CraigPokesU, we would rather stock too many options than not enough to allow our clients the creative freedom to express themselves in anyway they choose. We also provide the option for clients to custom order their own pieces with their preferred aesthetic, color, and setting!